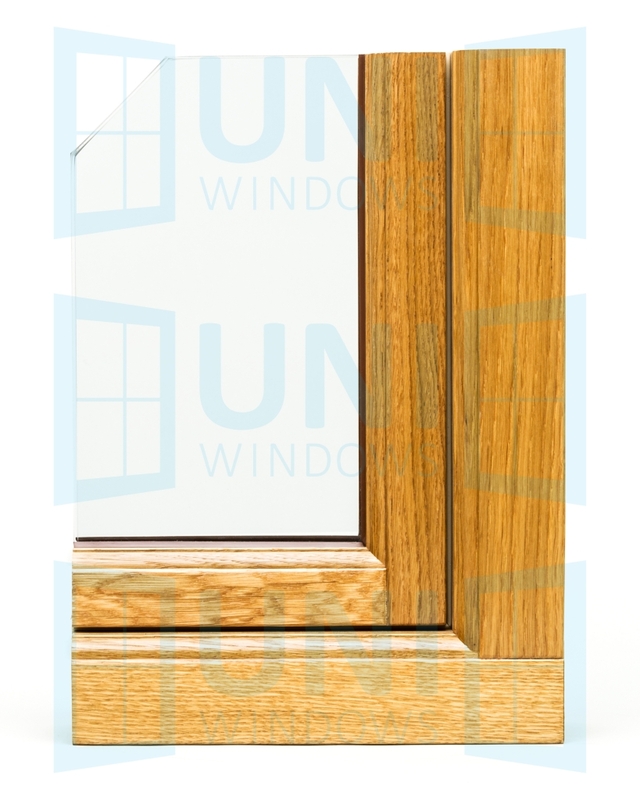 Scandinavian outward opening windows have been developed in view of recipients from the Northern Europe where this type of joinery is most popular. Their carefully designed, slim construction gives the impression of simplicity and sublime elegance. The use of high quality materials: (selected glued scantlings, multi-clamp ferrules, heat protection glazing units), and modern production technology allows obtaining a product with excellent aesthetic and functional parameters. 56 x 61 mm. All technically possible shapes and dimensions. Engineered wood – selected or fingerjointed. Pine, meranti or oak timber. Sound reduction for the standard unit Rw = 31 dB. 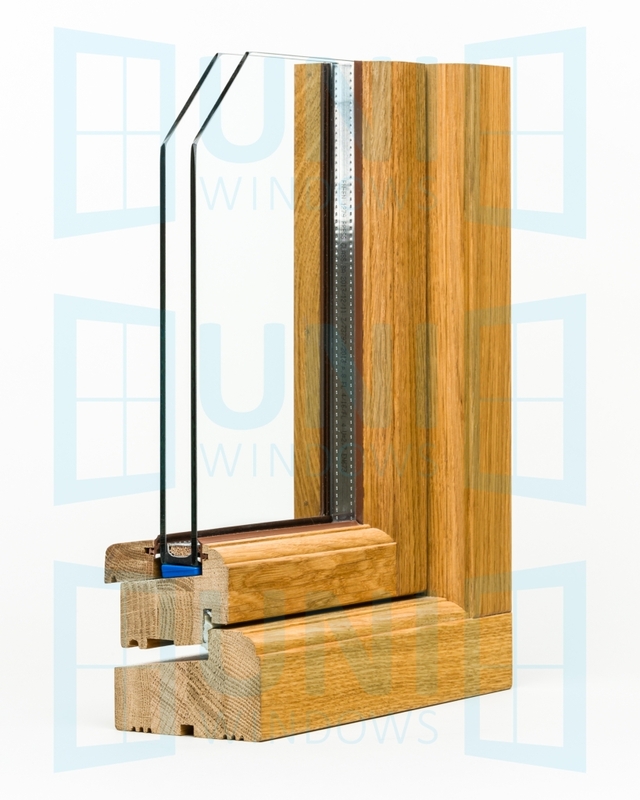 Glazing unit with improved sound absorption (option) for Rw = 34-42 dB, depending on a selected glazing unit. Double-glazing, single-chamber (4-18Ar-4), 26 mm unit, the heat transfer coefficient Ug = 1.0 W/m2C (BS EN-674), inter-pane cavity filled with argon. Ornamental glass, safe, with sun protection properties – option. 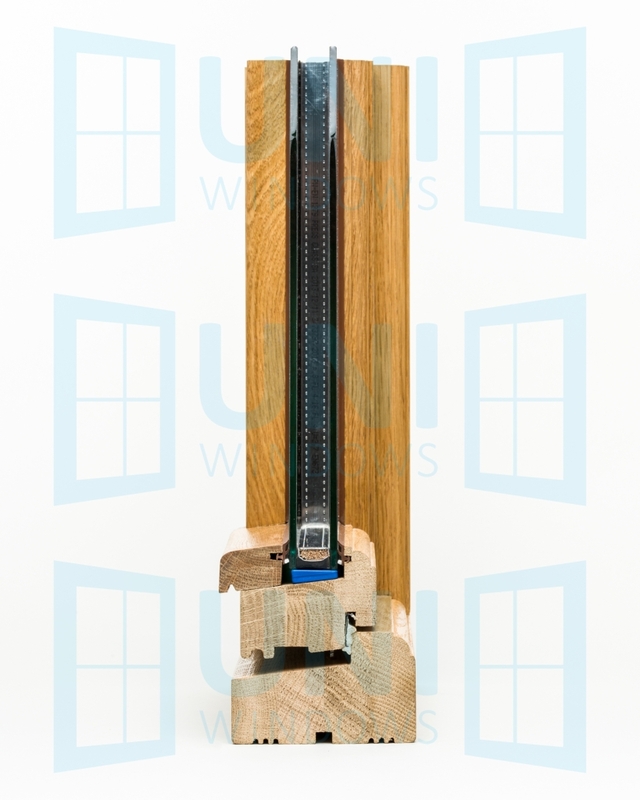 Warm edge spacer – option. Vienna (glued wooden + internal aluminum widths: 22, 32, 42mm), inter-pane, constructionwidths: 60mm or 80mm. Side hung, side swing, top hung, top swing. Transparent paints according to Sigma Coatings colour chart. Opaque paints according to RAL and NCS colour charts. 4 coating system, impregnation, primer, interlayer, topcoat. Single gasket Q-LON 3053 supplied by Schlegel. Glass gaskets: both sides black 3 mm gasket supplied by Deventer. 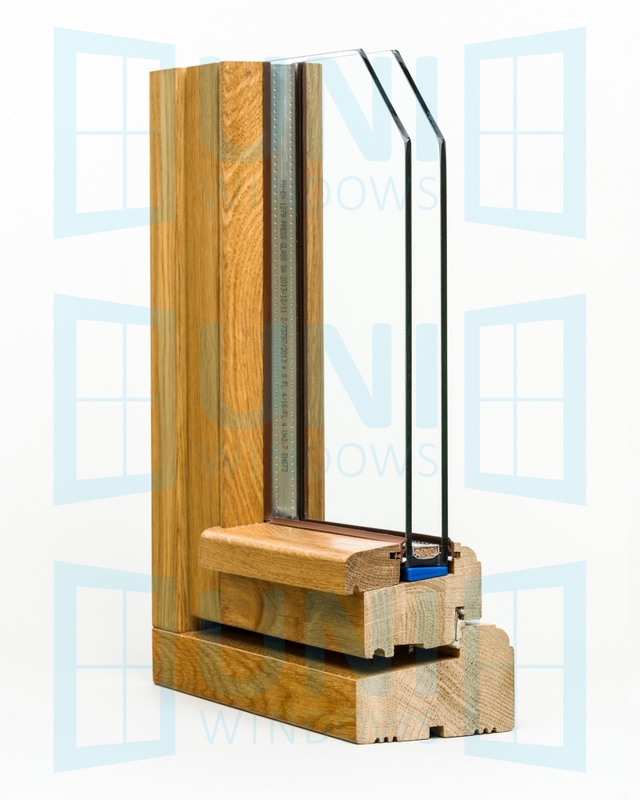 Aluminum anodized drip for sash protection – with, silver, patinated brass, or graphite colour. Drip mould in RAL color – option. Drip mould covered by wooden bead – option. Silikon Wacker lub Perennator, colours: transparent, white, light brown, dark brown, black. Hoppe Secustic Tokyo handle in silver. Key-lockable handle in colors as above – option. 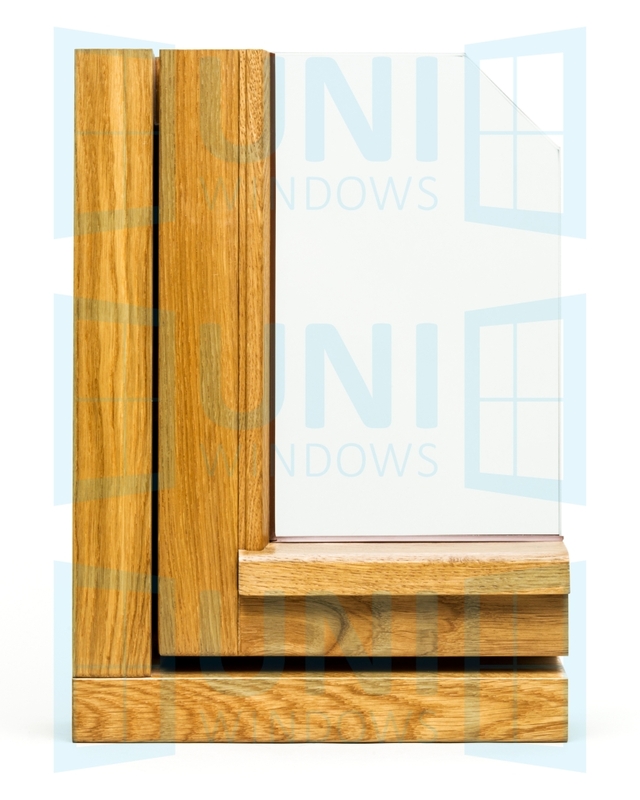 Uni Windows Ltd. offers a 5-year warranty on labour and materials used.